Chicago assistant state's attorney, Joe Magats, said Tuesday that he decided to drop all 16 felony charges against Jussie Smollett because "public safety is our number one priority" and "I don't see Jussie Smollett as a threat to public safety." The Chicago Tribune's Megan Crepeau reported Tuesday that Magats told them "prosecutors and defense reached an agreement at some point awhile back that if Smollett did community service and forfeited his bond, they would drop the charges." would note here that Smollett's team is adamant there was never any kind of deal, period, and the actor voluntarily agreed to forfeit the bond to the city. 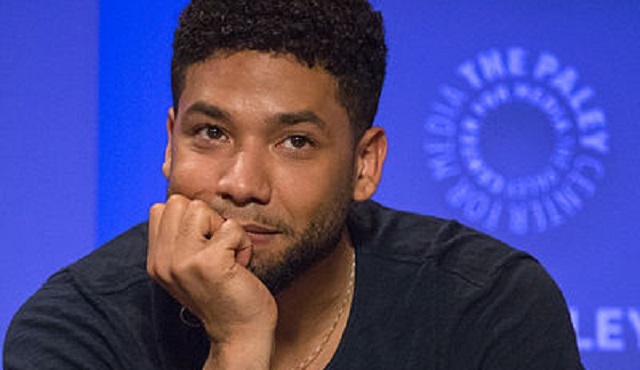 Smollett reportedly did 16 hours of "community service" for Jesse Jackson's Rainbow/PUSH organization as part of the alleged deal to get charges dropped. Jussie Smollett did community service at Rainbow PUSH Saturday/Monday for about 16 hours total. Magats is the second in command at the District Attorney's office under Kim Foxx, who had to recuse herself due to a conflict of interest as a result of shady dealings with an unknown member of Smollett's family. Foxx also tried to have the case handed off to the FBI. The State’s attorney’s office is saying the decision to drop the charges against #JussieSmollett did not come from Kim Foxx as she recused herself. No one that’s close to the case that I’ve talked to outside of #Smollett’s legal team believes that. [...] Foxx reached out to [Superintendent Eddie Johnson] after Tina Tchen, former chief of staff to first lady Michelle Obama, emailed Foxx saying the actor's family had unspecified "concerns about the investigation." Tchen, a close friend of Mayor Emanuel's wife, said she was acting on behalf of the "Empire" actor and his family. 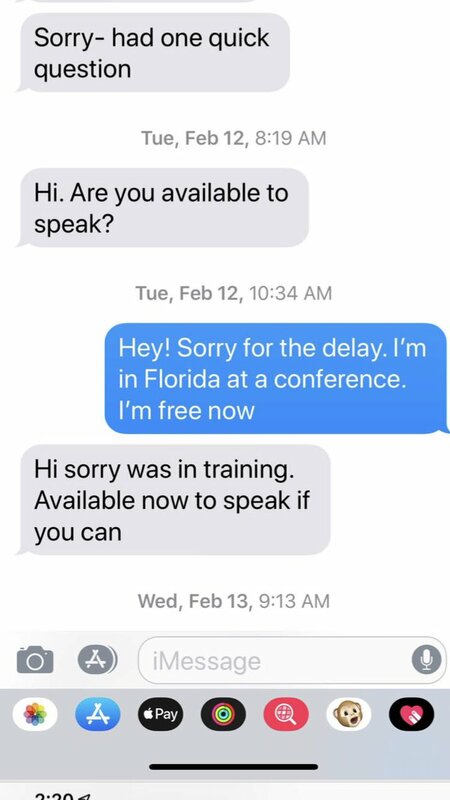 A relative later exchanged texts with Foxx. 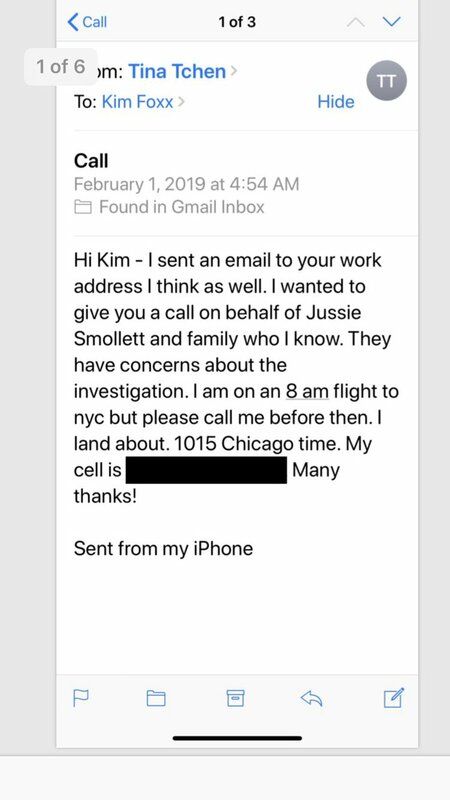 The exchanges began Feb. 1, three days after Smollett said the attack occurred. It would still be 2 1/2 weeks before he was charged with making the story up, but some media outlets were already starting to question the actor's account, citing unnamed police sources. 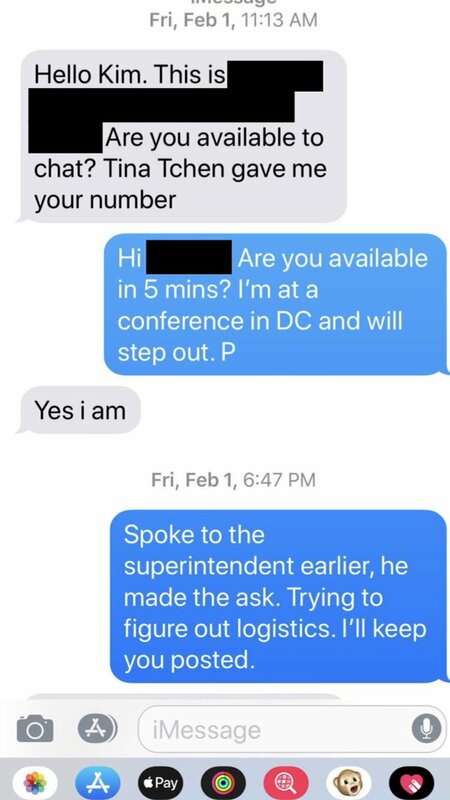 "Spoke to the Superintendent Johnson," Foxx emailed Tchen back on Feb. 1. "I convinced him to Reach out to FBI to ask that they take over the investigation." 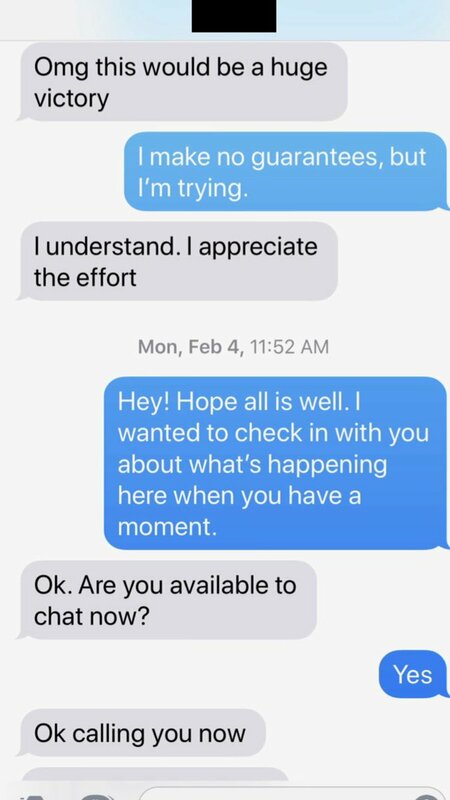 That same day, Foxx texted with Smollett's relative, whose name was blacked out in copies released by her office. "I make no guarantees, but I'm trying," Foxx wrote back. Remember, Kamala Harris and Cory Booker exploited this incident to get a bill passed in February to expand federal hate crime legislation to include "lynching." If I had to guess, I'd say there's more people -- powerful people -- involved in this hate hoax than we're being told.